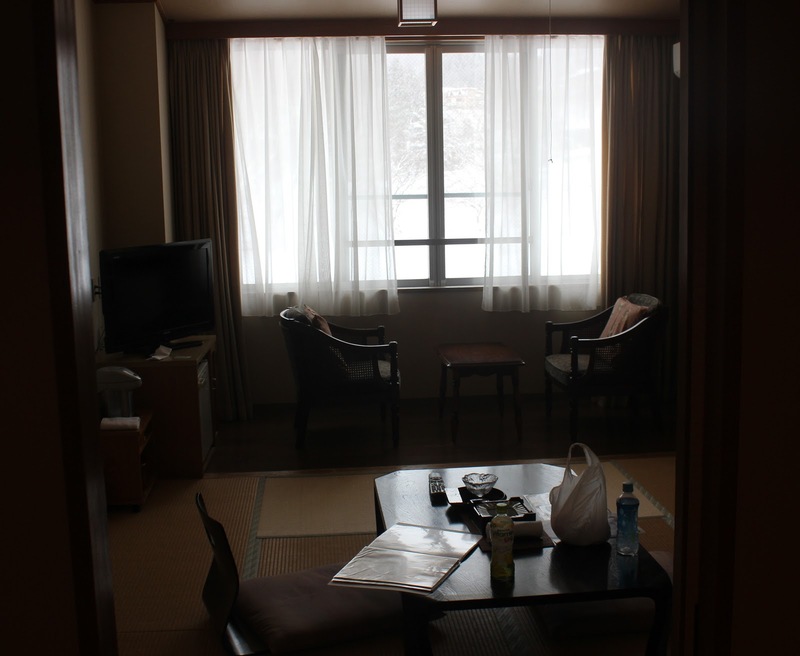 According to our itinerary we were actually planning on staying at Nyuto Onsen tonight, but we’d actually had to change our plans mid-trip as the hotel we booked wasn't able to accommodate us! We still really wanted to stay at an onsen town and we set about trying to decide between the various options in Tohoku that would make a good stop on the way down to Tokyo. 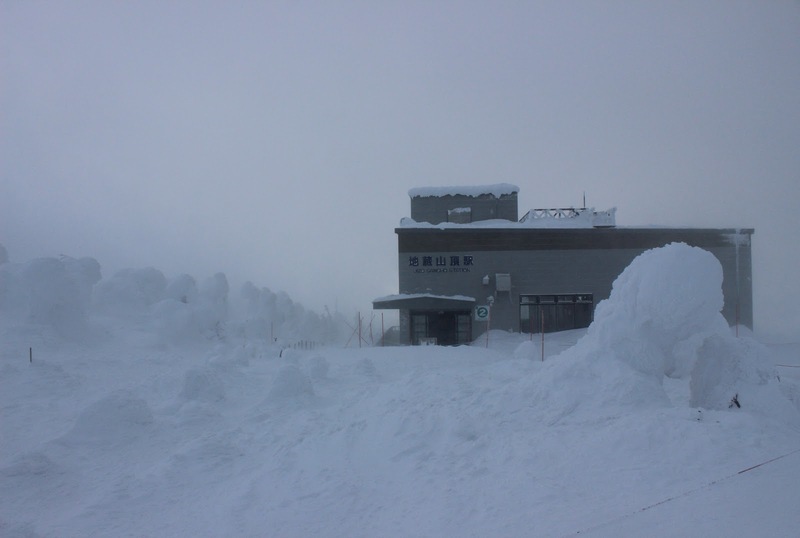 Takayu and Ginzan Onsen were among the options considered, however we ultimately decided on Zao Onsen as it had the added feature of the snow monsters. 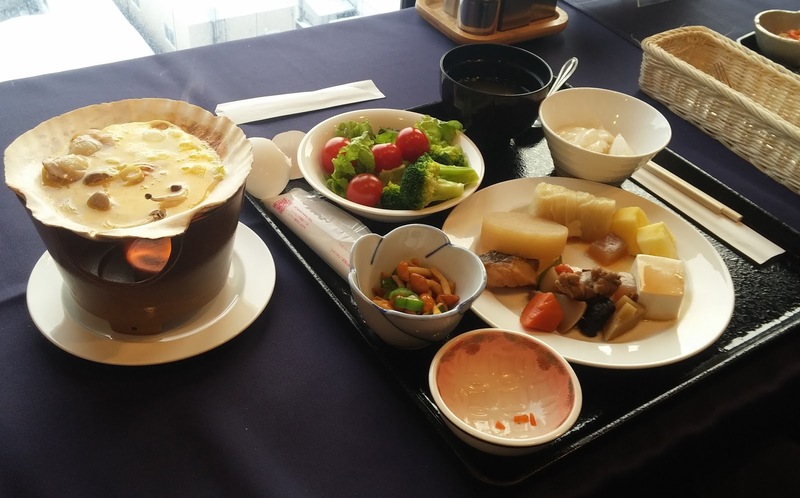 So, after awaking in the morning in Aomori we enjoyed breakfast on the top floor of our hotel. This was actually quite unusual as every other time we’ve had a meal at a hotel in Japan it has been on the first or second floor. 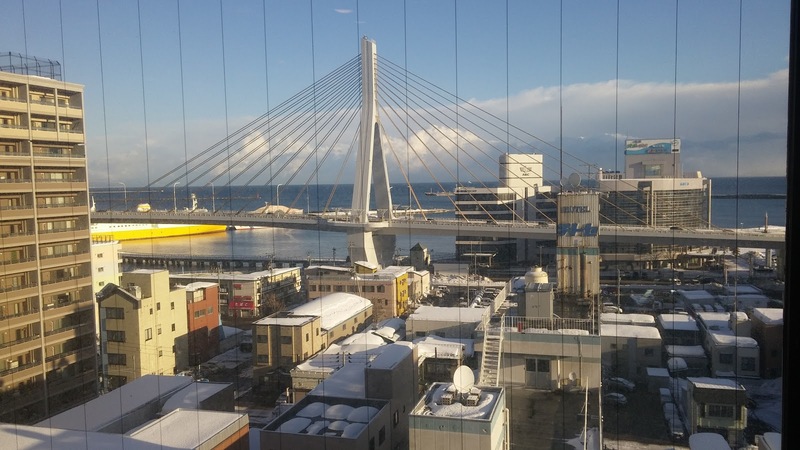 From the top floor we got a nice view out over Aomori, which was a real nice perk of this hotel. Additionally the food was a lot fancier than usual, we even had some soup that was cooked using the cool candle set-up usually seen in ryokan. After breakfast we caught a shinkansen all the way down to Sendai where we changed to a regular train which took us across to Yamagata city and prefecture. This second train was actually on the same line that we had caught last week when we visited the Nikka Whiskey Distillery. If we’d had known we were coming here earlier it we could have visited along the way. Zao Onsen is named after Mount Zao which is an active volcano located further up slope. 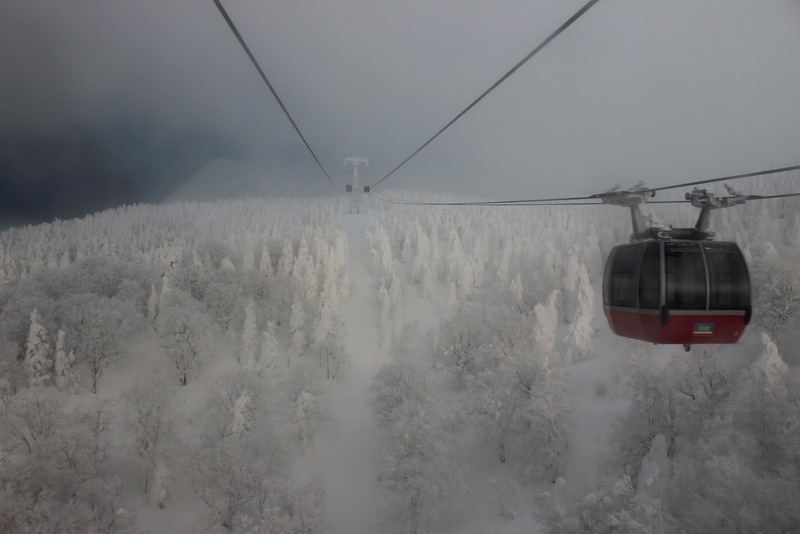 Speaking of slopes Zao Onsen is also one of Japan’s best ski resorts and apart from the snow monsters, the onsen themselves are famous for being one of the most acidic in all of Japan; with a pH approaching 1. 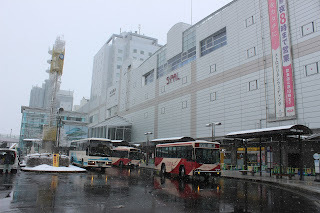 To get to the town from Yamagata Station we changed to a bus which took around forty minutes and cost one thousand yen. 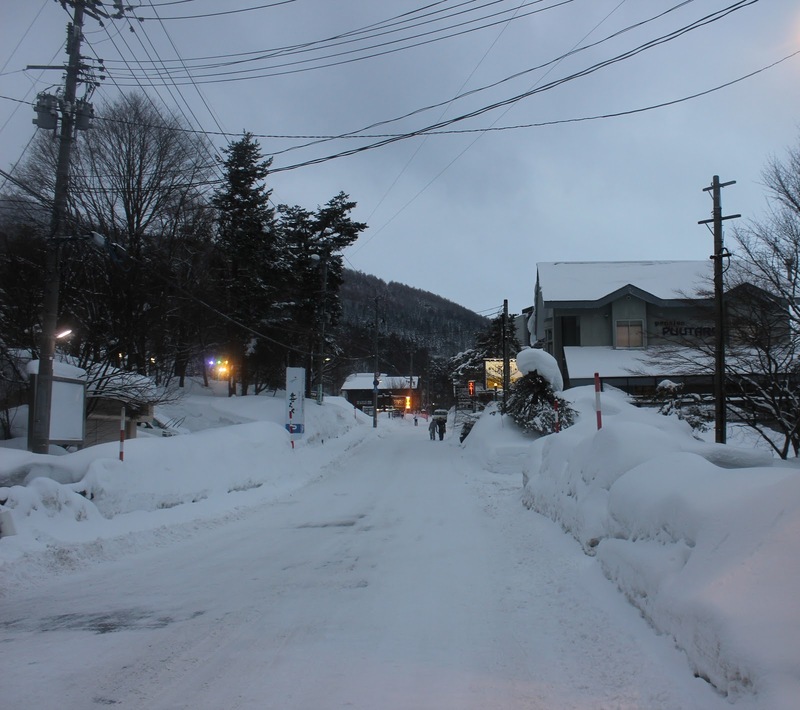 When we arrived at Zao we found the town and streets were completely covered by snow and ice which made navigating the streets to our hotel very slippery and difficult. 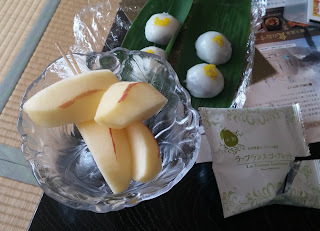 We gingerly made our way to our ryokan (Traditional Japanese Inn), Matukaneya,which sadly wasn’t all that close to the bus terminal. Upon arriving at our ryokan we were welcomed and shown to our room where we found some delicious snacks consisting of apples, biscuits and some wagashi or Japanese sweets. 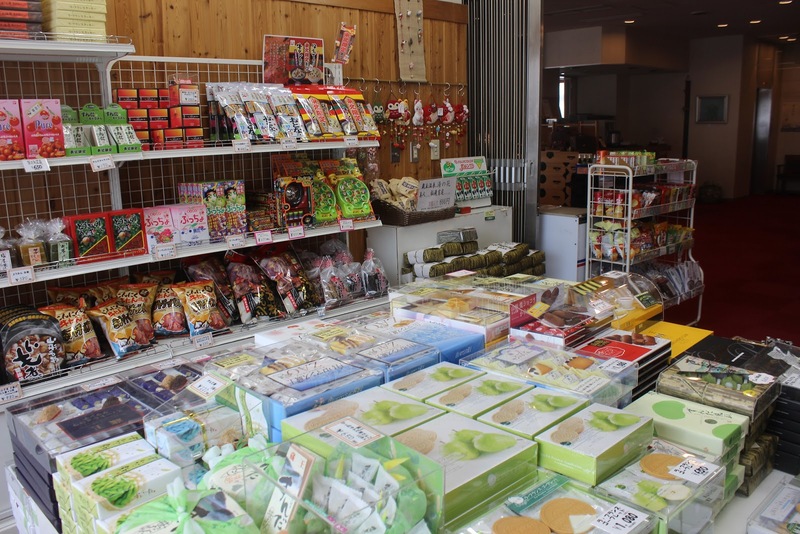 I actually wanted to buy some of the wagashi and biscuits from the ryokan's souvenir store to take back home though I had to settle on just the biscuits due to expiry dates and ease of storage. 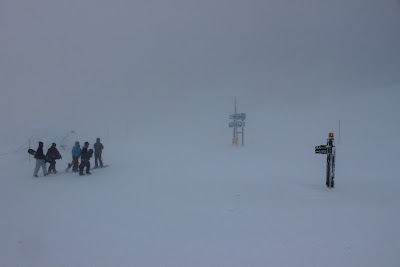 Next we ventured back out into the snow and ice and caught a series of ropeways all the way up to the mountain summit. This is where the snow monsters can be found! 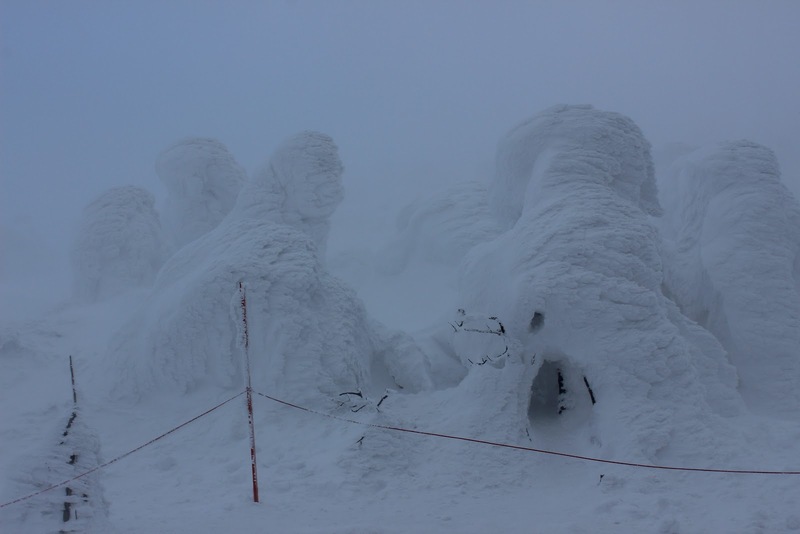 Snow monsters or Juhyo (Tree Ice) are a rare phenomenon that only occur on a few mountains around the world. What needs to happen is extremely cold water and snow needs to blow strongly from the same direction within a certain temperature range. If the temperature is too hot the ice will melt and if it's too cold the ice won't cling to the trees. These conditions are met in Zao when the cold Siberian wind blows across the moisture rich Sea of Japan. When this super cold, moisture laden air hits the mountain trees the snow and ice drops out of the air and creates a thick wintery coat, forming the snow monsters. The snow monsters gradually build up in size through winter and February is the best time to see them! 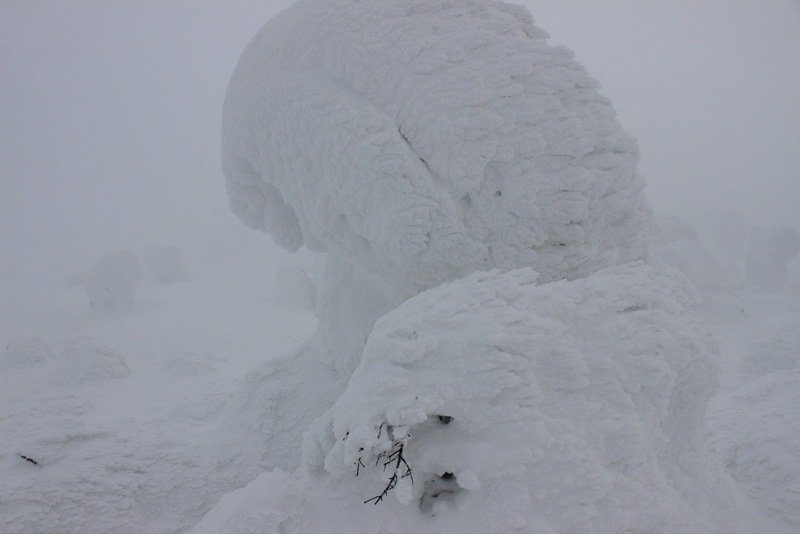 Now, when they say cold Siberian wind, they’re not kidding. IT WAS FREEZING AT THE TOP!!! 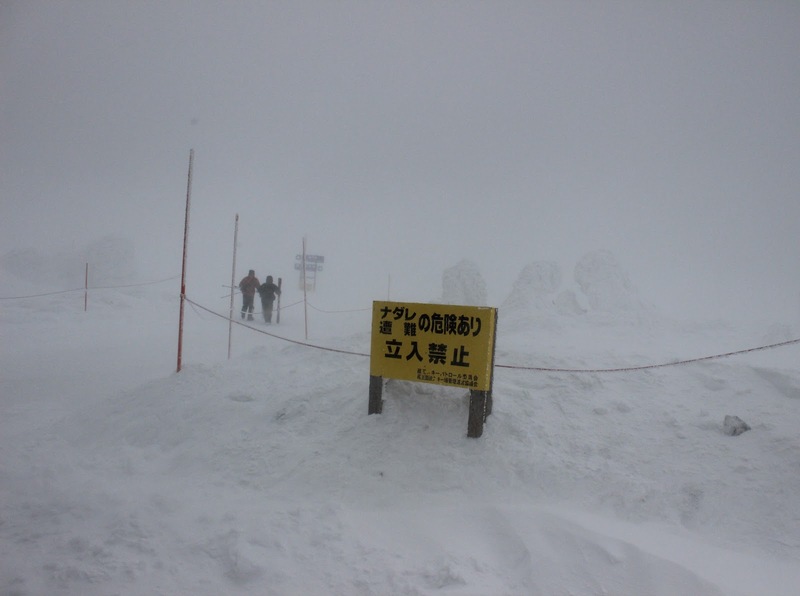 When we got there we saw that the temperature was reading -20 degrees Celsius and it was blowing an absolute gale. Despite our thick winter jackets, beanie and gloves we couldn’t stay outside for longer than about two minutes before starting to get unbearably cold. The top of the gondola had a heated resting area where we could defrost before going outside to be assaulted by the wind, snow and cold again. Being outside at the top of the Zao ski resort was easily the coldest cold I have ever experienced and I felt for the first time that I would actually die if I stayed out there for too long. Due to the weather conditions we actually couldn’t see heaps of snow monsters though we did managed to glimse quite a few all the same. And in any case it was worth coming up here just to experience the cold. 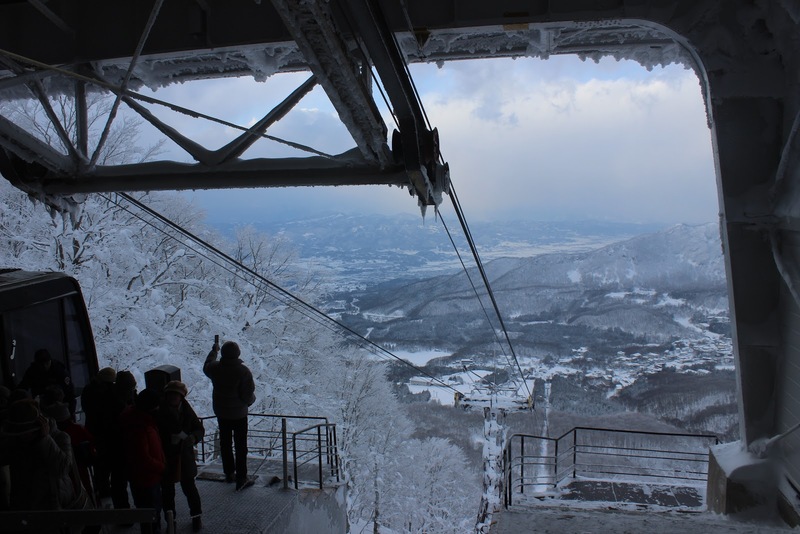 When it was time to come back down the ropeway we were able to enjoy a great view of heaps of snow covered trees, so we didn’t miss out at all! After returning back to our ryokan we enjoyed the hot spring onsen which, as mentioned earlier, are among the most acidic in all of Japan. Due to this there are actually four separate baths at our hotel, which equates to two different types for each gender to choose from. The first is the super acidic onsen water and the other has waters which have been neutralised somewhat. I tried both types. 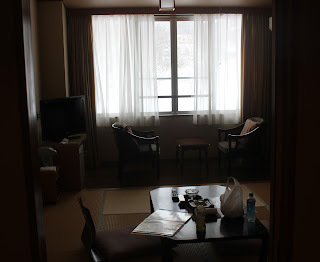 The normal pH onsen was nice and like any other but the pH 1 onsen bath was quite different. No one else was in there and I found that no soup or any chemicals were provided to wash with beforehand. However there were signs indicating that you just had to rinse off and hop in. I did this and found that the water actually did sting a little bit. It wasn’t too bad but I’m not sure if I’d want to stay in there for too long as the acidity is the same as battery acid. For dinner we enjoyed a delicious kaiseki ryori feast for dinner which is one of the staples of a ryokan stay. The main feature was Zao beef which we fried up on a hotplate- it was really delicious! 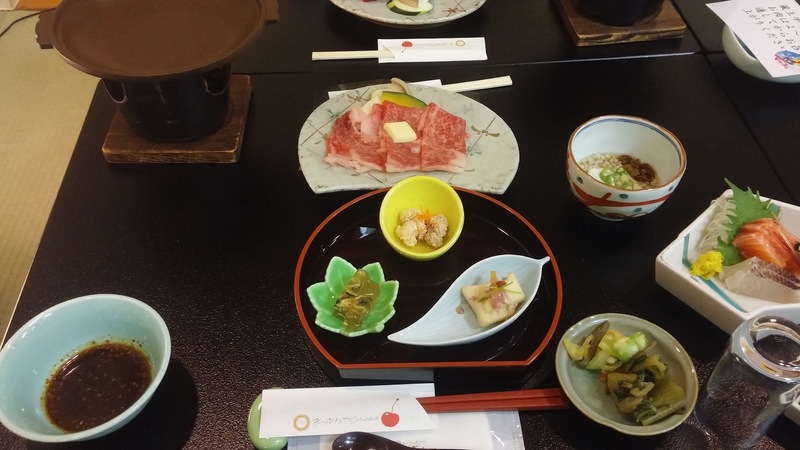 We also ordered some nihonshu (sake) which made a great accompaniment! 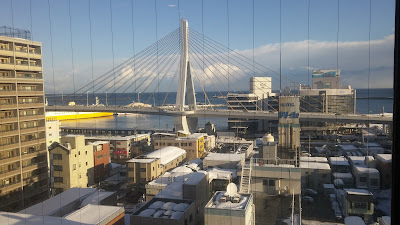 Tomorrow we'll be hopping back on the shinkansen to complete our return to Tokyo.